Kentuckynerd.com Android the real choice for power, and your personal companion. 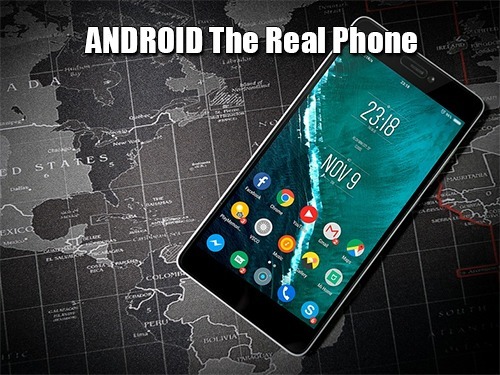 Android the real choice for power, and your personal companion. Google and Android have teamed up for quite some time now. If you are like me (Android Nexus 6), you live having different technology laying around and being able to customize it the way you like it is a big deal. Unlike Apple, which is no secret that I despise only gives you 1 or 2 options in phones, or really anything they design. It’s white and compact, has outdated hardware in it and come out severally overpriced. Android, first of all, gives you tons upon tons of options to choose a phone from because phone manufacturers can put it on just about anything. Since I’ve had an iPad,iPod, and an iPhone. Whenever the latest model comes out with an update to the operating system, the performance gets horrendous. I remember the iPhone 3 coming out and seeing the performance it had. It blew my mind on how smooth it worked. Now I’ve picked them up and it’s literally like a piece of garbage, no apps work, it’s super slow, and therefore it’s just junk. One might think that Android phones aren’t secure, or even more susceptible to a “Virus” than said Apple product. If you want to talk about #AlternateFacts, all you have to do is look at the Apple marketing team. Because if there is one thing I can say about Apple is they know how to market their products because they have everyone fooled thinking that a virus couldn’t ever exist on their precious devices. Ransomware! Heard of it before? Macs get them almost as any other operating system. Virus! Yeap, iPhones, and iPads get them as well. My point being, don’t believe the hype. Android, as a result, is a great and affordable phone. You can even use the operating system on a computer to test out an app! Want to program your own app? It’s FREE for Android, Apple $100 for a license. 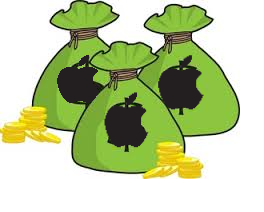 The real symbol for Apple. Go out and get you a new android phone, grab you some memory, and hold onto it for quite some time it won’t let you down!